It was fun customizing my own blog. It was a hazard as well on the other hand. Eventually my blog has a new design interface. 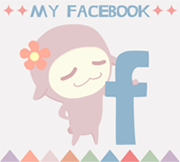 I hope all of you would love it and enjoy browsing my every sharing on illustrations and handcrafts.